Weather conditions and work demands can change as fast as temperatures drop — and your diesel fuel should adjust with you. The compact equipment industry’s high-pressure common-rail (HPCR) fuel injection systems —featured in interim Tier 4 (iT4) and Tier 4 engines — use extremely precise components to help meet emissions standards. The new generation of ultra-low-sulfur diesel (ULSD) fuel required for these advanced technologies must be cleaner, water-free and blended for the current climate. 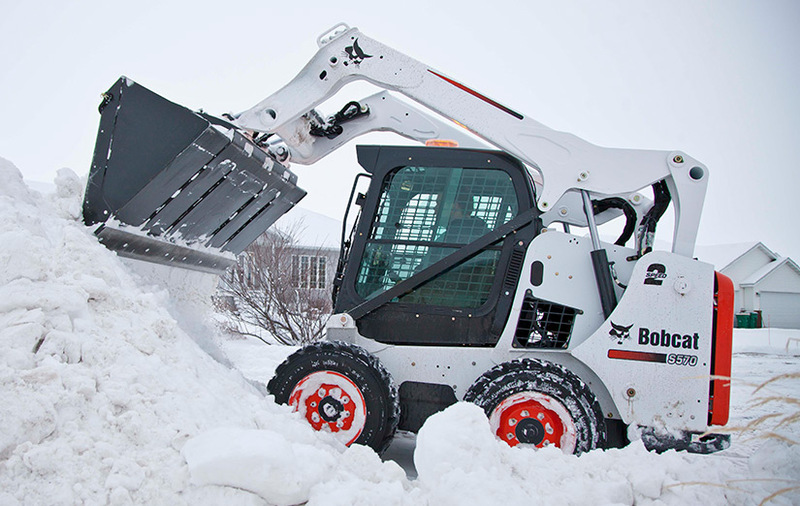 You can increase cold weather uptime by purchasing clean fuel from reputable suppliers, using Bobcat-branded filters and taking extra steps to make you more productive from sunrise to sunset. Expect to inspect. Winter’s frequent cooling/warming cycles require more fuel monitoring. Machines stored outside overnight in cold weather may develop moisture that can be drained from the water trap if excess moisture developls. Start smart. A block heater and a well-charged battery can improve cranking speed. When starting, always turn the machine on and wait for the glow cycle to complete prior to cranking the engine. Wait to warm up. Allow adequate time for the engine to properly warm up before use to help eliminate possible fuel gelling. Make quick replacements. Temperature shifts or machine inactivity following continuous operation can lead to a greater tendency for gelling or fuel filter icing. Keep a spare Bobcat fuel filter for every interim Tier 4 (iT4) and Tier 4 machine in your fleet. Avoid prefilling a new filter during installation as unfiltered fuel could harm the fuel system. Anticipate moisture. If water-related codes display on your control panel, drain the water trap. Condensation can form when winter tasks involve transfers between cold outdoor areas and heated interiors like cattle barns, enclosed buildings, and heated shops or storage areas. Refill tanks before parking. HPCR engine technology generates higher fuel pressures and temperatures. Prompt refueling at the end of the day can help eliminate condensation that forms as a tank cools to outside temperatures overnight. Select the blend for the season. Use a higher percentage of winter blend diesel fuel and begin using it earlier in the season. Operations in cold and far northern regions should use a winter blend #1 or #2 diesel with a low cloud point. Maintain bulk storage quality — Fill only from a clean and properly filtered tank. Verify that the tank delivery line filter removes contaminants to 10 micron or less, and filters free and emulsified water. Routinely update your tank’s preventive maintenance log and test fuel annually with a Bobcat fuel test kit. Buy from the best. Screen retail suppliers to determine cold weather performance such as the diesel fuel’s winter blend and cloud point, and the level of filtration used on delivery lines.